Commercial Automotive Insurance | Rehoboth Beach, DE | Wilmington, DE | Williams Insurance Agency, Inc. Whether your business has one vehicle or an entire fleet, you need commercial auto insurance. The insurance professionals at the Williams Insurance Agency, Inc. with locations in Rehoboth Beach, DE, and Wilmington, DE, have serviced the auto insurance needs of businesses in the Delmarva region since 1948. Our agents can help your business get the right coverage at the right price for all your vehicles. 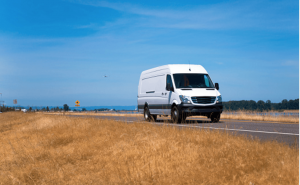 Commercial automobile insurance is required if your vehicle is used to provide a service, if you transport passengers, or offer freight service for a fee. Commercial auto insurance is generally required if your vehicles haul sizable amounts of weight or tow a trailer as part of your business. If your vehicles are registered in the name of a corporation or partnership, or if employees drive the vehicles, commercial auto insurance will be necessary. Auto insurance experts at the Williams Insurance Agency can explain the proper type of commercial auto insurance that is right for your business. While standard commercial auto insurance provides much coverage similar to a personal auto policy, such as liability, collision, comprehensive, personal injury, and uninsured motorist coverage, business vehicles require additional extended coverages depending on the type of vehicle and how it is used. If a vehicle is used for transporting passengers as part of your business, adequate liability coverage is a must. Let our agents look at your business and how your vehicles are used in order to recommend the right kind and amount of coverage you need. Commercial auto insurance can provide specialized coverages designed to protect your motor carrier business and its assets. Businesses that transport cargo require coverage for inventory while in transit or storage. Vehicles used to transport tools and equipment will need coverage for those items while they are on the vehicle or at a job site. Business interruption coverage and rental reimbursement will protect against loss of income if a covered vehicle is out of service. Because the Williams Insurance Agency, Inc. is an independent insurance agency, we are able to match your business with one of our insurance carriers that can provide the specific kind of coverage your business requires at a competitive rate. Contact our agents at the Williams Insurance Agency, Inc. at 302-227-2501 for a comprehensive evaluation of your commercial auto insurance needs. The Williams Insurance Agency, Inc. serves businesses at two convenient locations. Contact our Rehoboth Beach office at 302-227-2501, or our Wilmington, DE, office at 302-239-5500.